The Duchess of Cambridge spent the day volunteering at Great Tower Scout Camp at Newby Bridge, Cumbria. Kate travelled by car after undertaking a two and a half hour train journey from London to Oxenholme this morning. Kate, who is a scout volunteer in the Scout Association joined twenty other volunteers at the 250-acre scout activity centre, learning new skills that will support her in her role as a helper at her local scout group in Anglesey. These volunteers are working either with Beaver Scouts (6-8 yrs) or Cub Scouts (8-10 yrs). Unfortunately, the weather wasn't exactly conducive for outdoor activities, but it didn't deter Kate or the scouts from enjoying the day. 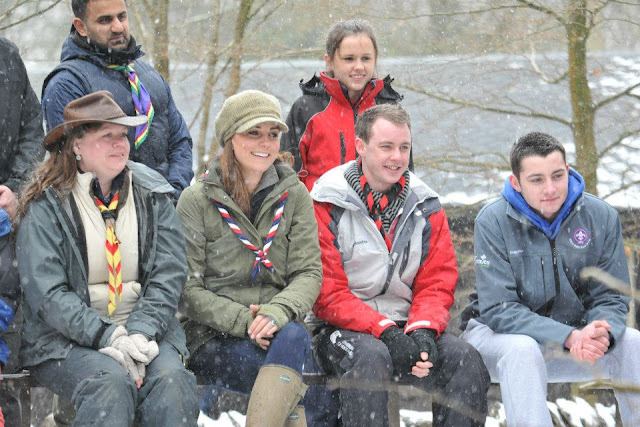 UK Scouting shared a photo of Kate braving the elements as she arrived at scout hut. The Duchess enjoyed a tour of the centre with the activity centre manager. 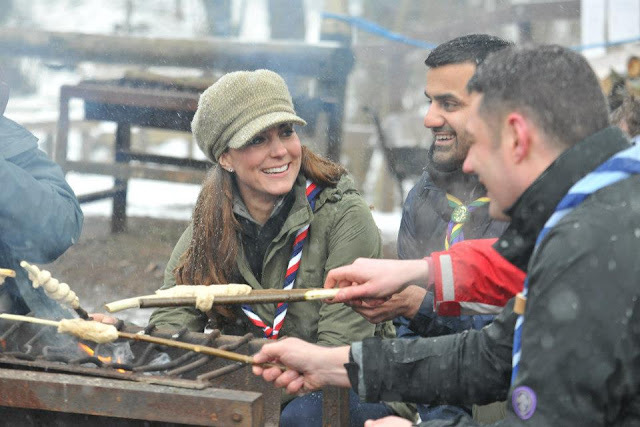 Kate helped to look after a group of twenty-four Cub Scouts from Cumbria and Manchester, who tried out outdoor cooking, fire-lighting and tree-climbing. Needless to say the Duchess who is expecting her first baby did not partake in the tree-climbing exercise! It was an ideal engagement for the Duchess combining her love of the outdoors with her love for working with children. Great Tower is close to the shore of Lake Windermere in the heart of the Lake District National Park. Great Tower is described as an "ideal base for exploring this famous area." The centre offers both sizeable woodland to explore, natural rocky crags for climbing, and an extensive range of both land and water activities, including archery, low and high ropes, climbing and abseiling, sailing and canoeing. Kate enjoyed making dough twists and bread. The Duchess wrapped up in her Barbour jacket, a piece she's owned since 2009 (with many thanks to Ashley Marie WKW FB). The jacket is described as a "versatile jacket which offers you excellent protection against all weathers". Kate teamed her jacket with jeans and wore her trusty La Chameau Vierzon Nord Wellies. 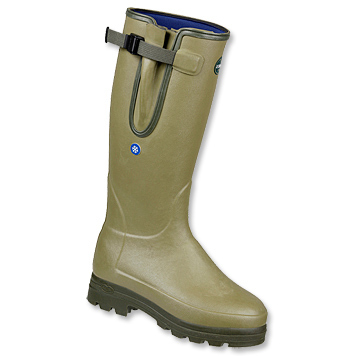 The neoprene-lined Wellington boots are available for $298 at Orvis. Kate added a stylish green hat by Really Wild to her ensemble. 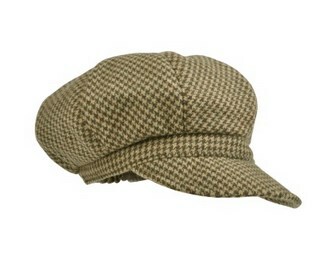 The tweed is moss speck from a previous collection but this seasons Ivy Dogtooth Cap is a very similar shade and pattern. It's available for £49. 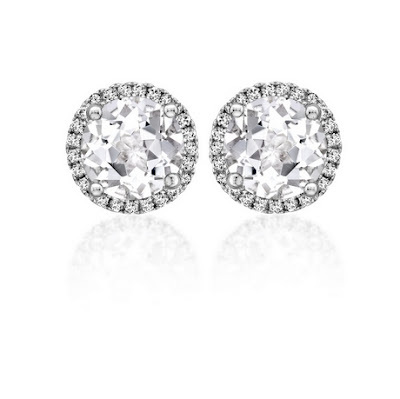 Kate kept jewellery to a minimum opting to wear her Kiki McDonough Grace Earrings. 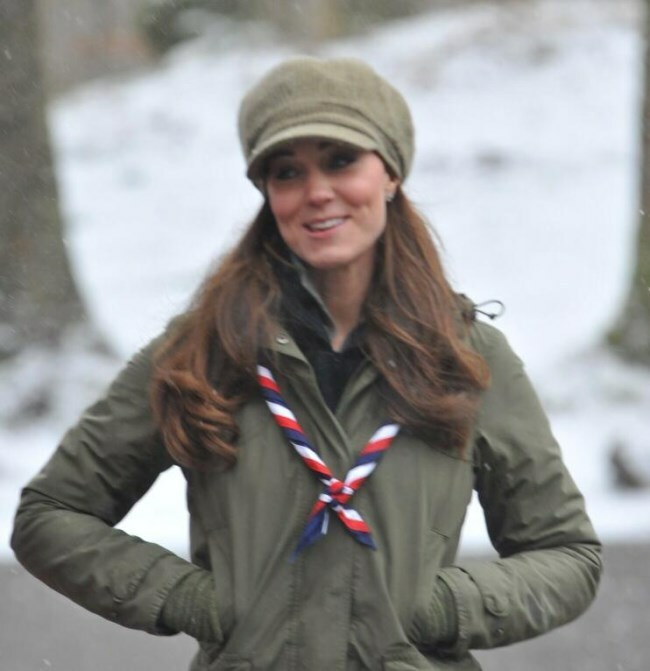 In her role as scout leader, the Duchess wore a Scout Scarf. 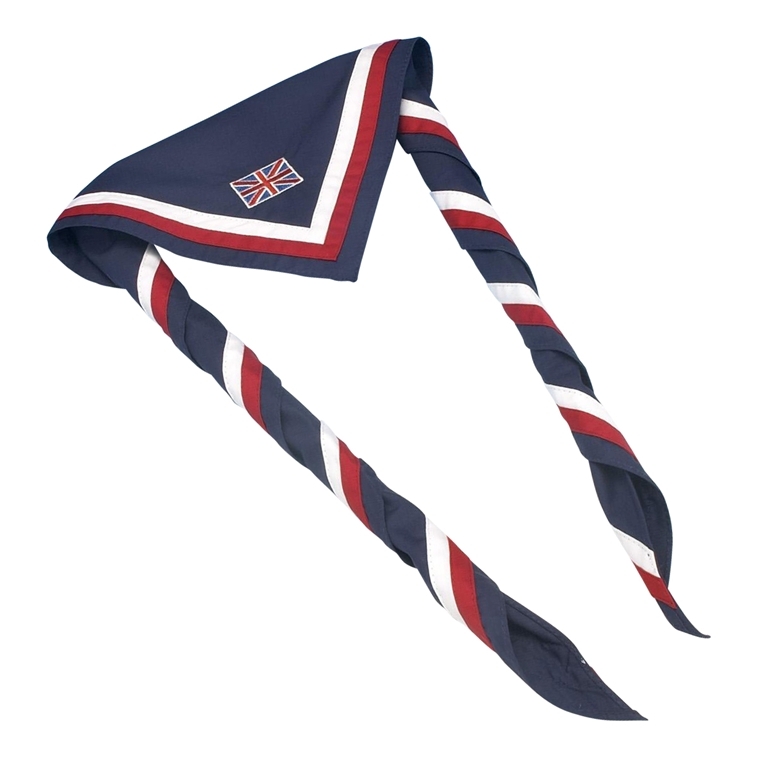 The £8.50 UK Adult Scarf/Neck is primarily worn by Scouts travelling abroad. A commenter shared Kate tied hers in the friendship knot today. Given the inclement weather Kate's look was all about layering. She also wore a grey shirt, a dark fleece and fingerless gloves. You can watch a video from the visit at the Telegraph. It has been an exceptionally busy month for Kate and April is shaping up to be just as busy! St James's Palace announced the Duke and Duchess of Cambridge will join Prince Charles in Scotland for two days of engagements in the first week of April. April 4 - William and Kate (styled as the Earl and Countess of Strathearn) will tour Emirates Arena, one of the sites for the 2014 Glasgow Commonwealth Games. The Duke and Duchess will watch riders in a practice session at the Sir Chris Hoy Velodrome and will also view an athletic demonstration in another of the indoor arenas, before viewing netball and badminton demonstrations. Given the couple's role as London 2012 ambassadors this seems a very appropriate engagement which will draw attention to the Commonwealth Games. The Duke and Duchess will next visit the Quarriers Stopover Project, a project for young homeless people run by the charity Quarriers. Based in the south side of the city, and run in partnership with Glasgow City Council, Quarriers Stopover is a short-term residential unit for 14 young people aged between 16 and 25 who find themselves homeless. 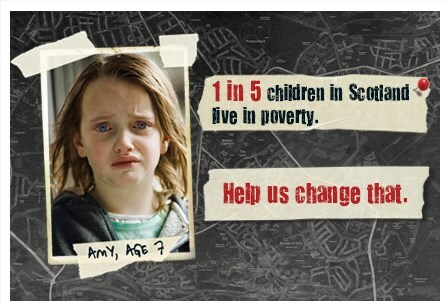 I was alarmed to read 1 in 5 children in Scotland live in poverty, this statistic reinforces how important organisations such as Quarriers Stopover Project are. The couple's final engagement of the day is a visit to The Donald Dewar Leisure Centre. The Royal Foundation of the Duke and Duchess of Cambridge and Prince Harry is partnering with Glasgow Sport and the Hunter Foundation on a new pilot as part of its national Coach Core initiative (the royal trio launched the initiative last July). 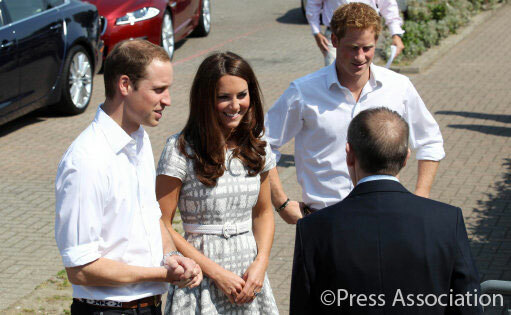 Arpil 5 - William and Kate will join Prince Charles in opening the new Tamar Manoukian Outdoor Centre at Dumfries House. The new outdoor centre will provide accommodation and team activities for fifty-two young people and six adults. Their Royal Highnesses will also visit the Astute Class Submarine Building at BAE Systems in Barrow-in-Furness. William and Kate will visit the offices of the Vanguard replacement programme and the site's main fabrication and construction facilities. From the itinerary it appears the visit will be an eventful and interesting one. It's great to see the Cambridges teaming up with Prince Charles and I expect Kate will opt for designers with Scottish links such as Alexander McQueen and Christopher Kane. We'll have more on that closer to the visit. Oooh...I'm cold looking at those pictures. Hello, MariBy! What a nice memory to share with us! Gosh, given the dreadful weather we've had overnight she's done really well to get there! I anticipated a cancellation. She looks like she's having a great time and has dressed appropriately for the weather...it's amazing how often those boots come in handy! Great speedy post, thanks Charlotte. Love the outfit---I think she looks her best in casual clothing. Must admit,I'm surprised she set out, giving what the weather is like in Cumbria and how much worse it's forecast to be later in the day. Hang on to your hats, ladies, because you won't ever read me bash Kate about her volunteerism with the Scouts. I know she's been volunteering with them in Wales (even though she probably isn't now due to being in London) and I give her kudos for going out in your horrible weather today. One of the newspapers records that the senior scout there today, said that Catherine had been with the Anglesey scouts several time since Christmas---the last time Wednesday of last week. Not everything she does gets reported. Jean, while I assume your response was meant to be kind, it comes across as a bit condescending. I said I'd never bash Kate for volunteering, yet you have to come and tell me she does and it isn't always reported. I know that. And I said I'd never bash her for it. Jean, I'm using my response to your post to say the following, but it is in no way a reflection on you at all. Please accept that as I truly mean it. I have tried to be nice here, I've posted what I believe to be reasonable opinions, and no one seems to want to engage in an actual discussion with me. I find that most disappointing as if someone would have tried to have a conversation with me I would have welcomed it. I tried a little humour, I've tried objectivity. I have never insulted a poster although there have been veiled (and not so veiled) insults posted about mine. I even emailed Charlotte and asked her if she minded my posting and she said, no, that she found my posts respectful and on point (although a couple mustn't have been as they didn't quite make it :) ). I said when I got here that I don't hate Kate enough for the Khater blogs and I obviously don't love her enough for blogs like this one. Personally I find fawning over her and refusing to admit she's a human being with human traits and failties is a bit over the top, but if that's what you want to do here, have at it. bluhare, I think Jean was just stating a fact, it didn't sound condescending to me. I think we have to take Internet talk with a grain of salt because it just isn't the same as being face to face. I enjoy having your comments on this blog, even though we all don't always agree. It is interesting to get different perspectives. As far as lengthly discussions I think most of us are limited with time. It would be fun to sit down to a cup of tea and talk talk talk but.....probably it won't happen. Bluhare, I have to agree with Sarah. Jean always has informative and kind posts, and it did sound condescending to me either. From your post, I could not tell you were trying to engage in any conversation, it was just a post. People are busy. I have asked questions on my posts that sometimes don't get answered and that's ok. There are many times when I log on that I would love to read all the posts, but don't have time. I am usually checking back. I will admit I was proud you had something positive to say. Kudos to you. I cannot speak for anyone else, but I know I would prefer to engage in positive conversation and leave the negative to the wayside. That does not mean I fawn over Kate or think she doesn't have flaws. She is human and no human is flawless, being a Royal doesn't diminish that. For me personally, there's so much negative in the world and plenty of people who want to pick her apart, that for me personally I chose not to do that. I am ALL for engaging in conversation and having fun. Charlotte, does a great job to keep us informed and allow conversation. I just wouldn't expect it on every post. As I type, I have 4 kiddos screaming and kicking balls. No more time to type. :) Have a wonderful Saturday! Sarah, you are the one person who has made an effort and I thank you for it. PS Wish I'd have used the edit function Sarah, as the reason I found Jean's post condescending is that I said in my post I knew she'd been volunteering with the Scouts in Wales, not just this trip. Jean then had her response. @bluhare- I don't think Jean's comment regarding the Duchess doing her thing with the scouts in Anglesey was being mean to you. She was just making a statement regarding the Duchess working with the scouts even though she has been in London alot. Now in my opinion you do sometimes come off a being a Duchess hater. MOST of us here are big fans and we do understand that you might not be. But we do respect your comments. Correct me if I am incorrect but aren't you one of them who think the Duchess does not work enough? We as fans really do not know how much work the Duchess does behind the scenes but one who has worked with charities there is alot to do. We only see the Duchess when she is doing her engagements solo or with William. So I really don't feel we can really come down on the Duchess for the amount of work she does or does not do. As long as the Queen & William are happy that is what really matters. And once their baby is born she will be taking a "leave" to be with their child. For how long it has not been said. Every new mother is entitled for a maternity leave even if you are royal. We have to remember that William dance's to a different drum beat. Hope you have a gooed weekend. Pauline, as I told Sarah in my post to her, I had said in my introductory post I knew Kate had been volunteering in Wales. Jean then had to tell me not everything is reported. Which really isn't non reported if we all know about it . . . . . never mind, my head is spinning already. I told everyone coming in I was neither a hater nor a lover. I love her clothes and I think her poise is unparalleled, but you're right in that I think her work ethic leaves a bit to be desired. Does that make me a hater just because I think that? Are you afraid I might be right? I just don't get it. The only way Kate will get rid of the Lazy Katy moniker now is to be seen, which is what I've said in my posts. Behind the scenes meetings don't count; all the royals have those. This week she's done four outings. That's the kind of thing that changes peoples (including mine) minds if she keeps it up (pregnancy issues notwithstanding). William definitely dances to a different drummer and in my opinion it is he who is responsible for a lot of the negativity about his wife. With this new Aide de Camp title I assume this means he will be moving into full time royal life. I hope so; that will tell the tale for me. Whether he's a lazy louche who's used to getting his own way, or polished professional. I got kicked off a hater blog for defending Kate's heel height. Her heel height, for heaven's sake, and this was long before she got pregnant. Just to give you an idea about how nuts people can be. I can learn from everyone here, and perhaps I can offer a viewpoint to you. But it's not worth my effort if I'm accused of being a hater or my opinion isn't valid if I'm not British (I am, by the way), which is interesting in itself because if that's the case at least half the board have worthless opinions. I have also posted links that proved what I said was correct, but those have just been brushed aside. Yes, it finally all got to me. I admit it. I never intended all this--I already wrote a blog apologizing if I had offended you, which seems to have disappeared into the ether. I put the piece about the number of times she had been volunteering in Anglesey, because I got the impression that to you (and I suspect most of us who post on this blog) what Catherine does is more important than what she wears. If it came over as condescending I can only apologize. let me come to your aid. I haven't posted for quite a while although I read all the posts and skim through all the opinions written down. I am neither a committed Kate-fan nor a Kate-hater (why should I hate anybody? ), but I am deeply interested in her. First of all she looks incredibly beautiful, she dresses elegantly (the skirts could be a bit longer, but okay), her life is thrilling and I get an insight into a life that is so far from my own experiences, even if my life as a wife, a mother of two, a teacher, a woman, a friend, a … is anything but boring. But at the same time I find some points in Kate’s life that I think are worth criticizing, but I am criticizing as a critical friend who still wishes Kate all the best in life. I haven’t had any problems about her not working more, as she had to grow in her role as a royal. I myself would not like to turn up in public and be watched from head to toe every day, that must really be exhausting. But then she announced she was suffering from severe morning sickness and could not go on working – accepted. Then came the holiday with her parents and I could not understand that decision at all. The reaction was that so many people criticized her, and I could understand some Britons’ fury (not being able to afford only one holiday, high taxes, …). So what do I do with my critical approach? I still follow dear Kate, because I am still interested, I still love Charlotte’s blog, I still think that Kate is a nice person. Bluhare, do you understand what I mean? Once again I think how great that would be if we all could meet (wasn’t Kensington Gardens the place to be?) and how much fun that would mean. If we could all see each other face to face there would be less misunderstanding. But as this is a bit difficult as we all live in different parts of the world, we have to cultivate our friendship here and let us appreciate our shared leisure time. Do I sound like priest? @bluhare- I am not afraid that you might be correct about the Duchess work ethic. That is your opinion. I don't beleive there is a set number of engagements a royal has to do per year. Last year the Duchess who at this time is still not a full time working royal did 122 (give or take a few) engagements. To me that is pretty good for not being full time. Peopel get pisst when it is mentioned that her first job is to be a wife to William (as in military). What that means I have no idea. But let's face it his job is being an RAF Search & Resuce Pilot. But that is coming to an end in the coming months. What his plans are nobody but he & his wife know what is plans are. So you are saying that for the Duchess to shack the lazy moniker is to be seen more. How many do you think she should do to make people think she is pulling her weight? Are you going to think less of her when she take time out after her baby is born? I sure hope not because every new mother takes some time off. I just think no matter what people say to you, it will not make you happy. And I am sorry for that. I think you expect more of the Duchess then most people. Oh and by the way since she & William have been married she has brought over a million pound to their charity foundation which she had been make a patron. I love Americans and the fans who post here but there are a few disapointing posts that a very very small minority post. I would challenge a few of the American super fans to see the side of us British fans who pay for the royal family and feel that Kate's actions have to please more than the queen and william. It is great you love everything about her but it would be nice to have the objectivityin other posts recognized and not use the word hater.I would like to see all comments with the word hater withdrawn by the poster and not push Charlotte into a corner. I find it ironic that America mentions freedom of speech yet a few seem to want to eliminate views they do not agree with. Jean: thank you very much. As I said in my first post, I didn't want to associate you with the conversation but I guess I did by making my statement under a response to you. I apologise for that. I enjoyed our brief conversation about the Queen's jewellery, and I wish I could affor the $95 price tag for the book! Marion: It sounds like you and I think very much the same. We are very interested in Kate but appreciate the fact she can't please everyone all the time. Thank you very much for posting, although don't worry about coming to my aid. I can fight my own battles. Pauline: I don't know what the tally is to be perfect. I do know that it's attitudes as portrayed in your post that make me uncomfortable. I already stated that Kate should work only as much as her pregnancy allows, and we all know she's going to take maternity leave. It wouldn't surprise me if William takes paternity leave. What about my post upsets you so? That's what I don't get. I have gone out of my way to be tactful here, yet you feel the need to make judgments about me. And by the way, the million pounds were in lieu of wedding gifts. A very good way to handle it too. I have lived in England my whole life and have watched the royal familygo through their ups & downs. The royal family have learned from the Charles & Diana divorce. The divorce of Andrew & Fergie. One thing the family does not want to happen is William & Caterines marriage to follow suit. Just watching William & Catherine they seem to mirror the marriage of the Queen & Phillp. And they married for love not becaue William was told to find a wife like Charles. So they are letting Catherine get into the royal working scene at her own pace. We can not fault her for that. I believe William has alot to do with that. He had seen what happened to his mother and does not want that to happen to his wife. I do not agree with Anonymous 19:48 on the fact that the Americans want the views of the one who dislike Catherine to be removed. We as English citizens do not even know what goes on when it comes to scheduling Catherine's engagement. We do know that it takes months to plan their schedules. Also we as English citzens can complain all we want about her work ethics but that is not going to make her work more. That also goes for all the other fans from around the world. It would be great if we all could get together like some of you have said and have a face to face conversation about Catherine. That would I think make everyone understand the opinion of the other fans. But since we are from different parts fo the world it will never happen. So we have this great outlet that Charlotte has put together for us. We don't have to always agree but need to be respectful to one another. I for one have been harsh on some comments and I am sorry. I will try to understand everyone. Kathy London: I absolutely agree with you that the royals don't want another Charles/Diana fiasco. Not only the divorce, but a non-blood royal overshadowing a blood royal. I actually think the non blood overshadowing a blood royal aspect is the one that is the most concerning to them (although I don't know as I don't live or work in Buckingham Palace). Frankly the blood/non-blood royal thing gives me the heeby jeebies, but that's the way they think. So I totally understand that if Kate was generating too much publicity they would want dial her down a bit and amp up William's profile instead. However, in my opinion, the next star of the royal family won't be an issue. It will be Harry who appears to be showing he's got his mother's touch with people, and isn't afraid to show his personality. He's got a bit of growing up still to do, but I think he's on his way. @bluhare- I am sorry if I make you uncomfortable. I work in the legal field so that is why my writing seem's to be harsh. I don't mean it to be. For that I am sorry. You know we can keep going over the subject of the Duchess work ethic but we all have our own opinion so I would suggest that we put the subject to rest. There is no reason why we all can't be friends and have difference of opinion. I wish we could all meet in person and hash things like this out, I think it would make it better. But we can't. So like's put this behind us and move on. We can agree to disagree and still be friends. And again I am sorry if I made you uncomfortable. Pauline: I write quite a bit in a pragmatic tone as well, so I take your point. It's saying things that nothing will make me happy that makes me scratch my head. There's a lot that makes me happy, and I would be happy to share, but the atmosphere has not made me feel comfortable enough to do so. But, I want to thank you for your post and apology, and I accept. I can always agree to disagree. In fact, I *like* to agree to disagree. It means we respect each other as individuals and I like that. I am glad that I finally voiced my feelings about this, as it appears to have made a difference, and I truly appreciate that. I can't promise I'll never say anything else about her work ethic, but I do agree that it's done for now and we should move on. So, to bring out the American that's seeped into me, group hug everybody! Big group hug fron Southern California. Bluhare you said you live on the west coast, may I ask where? Pauline, I'm in the Seattle/Tacoma area. I do enjoy southern California,though. There are so many different vibes so close together if you know what I mean. Bluhare, the group hug comment was too funny! Differences in opinion make the world go round. We can have fun, respectful conversation without always agreeing! I am curious what brought you to the US from Britain? That is off "Kate" topic and I hope is not too personal to ask. Kate, it's not too personal. My dad left Britain when I was in my teens and of course the family went with him. I've never got my US citizenship (don't get on me Americans; that's a topic I avoid like the plague), because I was born and English girl and I will die one. @bluhare- How funny my son lives in Spokane and went to Gongaza. He loves it up there. I agree I love the different vibes from all over the world. A big thank you to our lovely Ms. Charlotte for giving us this outlit. @Siddhii- Hello my friend from snowy DC. I will try & send you some sun from Southern California...lol Hoep you start to get warm soon. Bluhare, I think it's great that you love your home country. :) We enjoy having Brits over here. My son's best friend from school is British and his mom and I have become good friends. Although I am a very proud American, I will admit growing up there was a part of me that wanted to be an English girl. I had tea parties with my dolls and always spoke in an English accent (tried at least). I always told my mom I would one day have tea with the Queen and Princess Diana. Oh the imagination of a child! Oh Charlotte, you are fast as usual. Thank you for great posts you have made in this week so far. Kate has had a busy week. I couldn't imagine how hard you have worked to create such interesting yet enjoyable posts almost everyday this week. You are a star! I love Kate's today look. Very appropiate and chic. :) I also believe that her participation in Scouts, to some extent, will arise the public to become volunteer themselves. I will look forward to the photos which will be posted later. Ps- sorry for my english. I'm not native. Mela, You have no reason to apologize. Your English is wonderful--better than that of many native English speakers who post on this site. Mela, I have to agree with Lynn. Your English is fantastic! Great job! Wonderful, speedy post as usual, Charlotte! Well done! Mela your English is brilliant ! The only other language I know is American Sign Language., of which I am proud but, I do need to work on Spanish more because it is very much understood by many in America. shall definetly check back later for more updates,right now running out the door! Kudos to you, Charlotte, for such a prompt post! 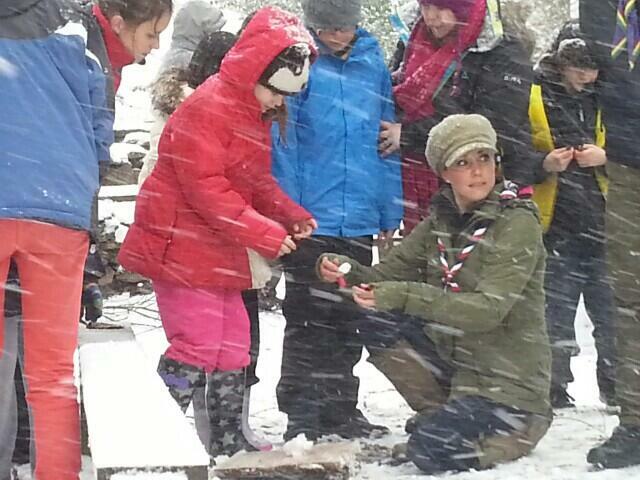 And kudos to Kate for braving the elements with a smile to show her support for the Scouts! P.S. How many weeks pregnant is Kate now? The media says five months, but I know you have the "weeks count," too--which is what doctors use nowadays. Kate's casual look today was stylish, yet comfy for a day with the Scouts! The wellies are a favorite of mine! I wish I lived in a climate where they would be worth purchasing. :) The hat Kate wore was adorable! Really liked her look and it's nice to end the week on less formal terms. I am sure her feet were thankful to get a break from the high heels!!! Lovely story about the Scouts.... When I was in London last summer and waiting on The Mall for the carriage procession, I had the privilege to stand with a group of girl guides. :) They were so kind and shared some info on the groups in the UK. The leader was especially kind and looked hard to find me around Buckingham Palace after the day was done. She and the troop wanted to give me a scarf that was designed specifically for the scouts for the Diamond Jubilee. She thought it would be a lovely gift for my daughter who was the same age as her troop girls. I was so surprised that they actually found me in the thousands of people and that she was SO thoughtful in thinking of my daughter. The girls were interested in what my daughter did here in the States and her interests. It was a very kind and generous gift and really was a great ending to a perfect day. :) The scarf will be a treasured gift forever! I think the work Prince Charles has done with Dumfries House is fabulous! There was a great story on the US news about Dumfries House last year. I told my husband that is definitely somewhere I would LOVE to visit. It is absolutely beautiful and has a great history! The inside looks to be incredible! Kate was not too far from there today. :) I know it is a historical treasure for the UK! I am looking forward to the upcoming engagements over the next couple weeks. Hopefully Kate will have a relaxing weekend with William in Wales assuming he is on duty. :) Charlotte, any word on where they will spend Easter Sunday? Also, it's looking more like they are moving towards becoming full-time working Royals. Any word on future military plans for William? Charlotte, thank you for a week full of fabulous posts! It has been a great and busy week and you have done a brilliant job keeping us informed! Hope everyone has a wonderful weekend! Charlotte, how nice to come home to Kate's lovely smile at the end of a long week at work. THANK YOU. The Duchess is beyond glowing. She's such a natural beauty. Kate - No word on William and Kate's Easter plans but giving the timings of their Scottish engagements. I'm thinking it's possible they'll spend it in Birkhall with Charles and Camilla. I was thinking perhaps due to the health issues of the Queen and Prince Phillip they will all spend Easter at Windsor and then leave the next day for Scotland. As they get up in years it is important to spend holiday time together. William will be the head of the church and will probably start going more often now. Thank you for the update, Charlotte! It's been a really busy week for you! But I guess you have super powers by managing to accomplish your College schedules and posting the Duchess appearances! You're doing a great job and that is why you are the owner of the best Duchess blog on the web. Catherine was brave to face such a cold weather in the woods. I can only imagine how cold it was, since I've never seen snow before (only on pictures or tv, of course). She looks great wearing this shade of green, although I'm not a fan of the beanie. Hope you guys have a terrific weekend! We've had so much snow today it's been like living in a 'snow globe' out our house! It's very pretty but we're not equipped to deal with it in the UK like, say Canada...so it's really rather disruptive and it's caused a lot of damage - trees down and guttering buckled due to the weight etc. so overall I am not a huge fan. Totally agree with you. Kate is brilliant, she braves the dismal weather and the snow with a constant smile and high spirits! She's lovely. I love Kate in casual wear. She rocks wellies and jeans so well! Happy to see there are more events on the horizon. 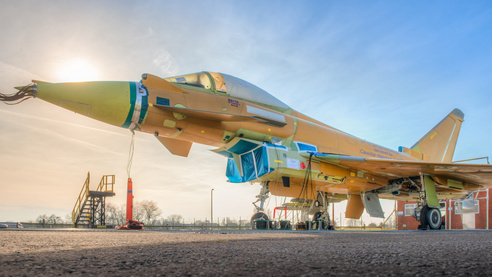 I for one am excited about seeing her (and William) out and about more. Thanks Charlotte! She looks so beautiful relaxed and happy! Very down to earth. How much fun all the scouts must have had with her! Wow our girl is sure brave. What a wonderful thing to do in that kind of weather. She is really a blessing for the royal family. I thought she would have cancelled today because of the weather and her being pregnant. But no she kept her engagement and did a great job. She looked just so beautiful with teh snow falling on her. The picutres were just so much fun looking at. Her getting her hand in the stuf to make their treats. She did not even take her rings off. I can not say enough about this very beautiful and caring woman. The Duchess is a rock star!!!! Ihope Charlotte you are warm & safe in this bad weather. Great job again on bring us all the great pictures and info on teh Duchess outing this past few weeks. She has been a busy mommy to be. Kate looks fantastic in casual clothes and I hope this gives much needed publicity to the Scouts. Greetings from a sunny California, where we need more rain. Looks like winter storms have hit in Britain as well as much of US. The groundhog who predicted an early spring just had a mock law suit filed against him! So wonderful to see Kate out there with all the other volunteers. I too love Kate in casual wear. What a brave woman to face that weather with a smile. who made her hat and where can I buy it charlotte?? Great to see Catherine outdoors enjoying the snowy weather! She looks wonderful and healthy. Nothing like cold weather to make you feel really alive. I love it!! You can tell I'm from New England! :-) Thanks for the great post. I watched the video and think I might try the knot. It's attractive. Thanks! Oh my goodness this ( Kate and the Scouts) and the jungle pics of her and. William are my favorites. She is so in her element and, what of wonderful flood of memories it brings back to me. She clearly wants the young boys and girls to have the special memories she had as a child. The Quarriers Stopover Project is heart breaking. I am so thankful attention will be drawn to it. What can I say, "you rock William and Kate " Granny and Grandpa need some rest and you guys are stepping up to the plate (that's baseball language) . Love to you all :)) Charlotte you are special!!! Thank you for all you do! I adored the jungle pics and the photos of Kate today along with her visit to the Widehorizons Adventure Centre. She's in her element in the outdoors with children and the Scouts are in desperate need of volunteers so hopefully Kate's participation will encourage others. Hi Charlotte, I love it when I catch you (real time) replying. Can you imagine a chat room with this blog ? It would be crazy! Charlotte, that would be great fun if we could get a time to work! Sarah, the bluebonnets (Texas state flower) and azaleas are in bloom and looking absolutely beautiful, birds are singing, and squirrels are playing my backyard as I type. Wishing a bit of our spring over in England! Dear Sarah, what a wonderful idea to have a chat session, that would be fun. I expect it to be rather crowded, so dear Charlotte, I don't think you have to worry about not having enough interest. As you have mentioned before, Charlotte, it is your fiancé who has to do the technical work for this blog, so he will also be involved. What does he say to that, does that mean a lot of work? Great idea for a chat, but how does it work ? I've never done anything like that before. Do we just write as we do now ? I absolutely love this idea! That would be great! You can count on me! I would love to participate! Lovely idea! I would propose after Easter! Liz from Wiltshire, I got a good giggle from your post about Brits loving to talk about the weather. I have a British friend here in Texas who always loves to chat about the weather....always! Her family is from Exeter and her parents like coming to visit during our mild winters. :) Sounds like the weather has been awful there. Our beautiful spring weather went away with a cold front, so we are in the 30's. Burr. It will be back up close to 80 for Easter Sunday, so that will be wonderful for the egg hunt! I am a few days early, but I hope you have a wonderful Easter! It is a great time of hope! The engagements for the week after Easter are interesting--such an eclectic mix. Prince William has always been interested in homeless charities, he's a patron of Centre Point. The Leisure Centre is connected to the charity they set up last year--I remember William and Harry joining young people at football and Catherine playing table tennis. The Prince of Wales worked extremely hard to save Dumfries House-by the time he had managed to buy it, the furniture was all in vans on the A1 on the way to the sale room. They managed to turn it back. Them the visit to BAE to see the submarine building--wonder if there is one to be launched. Let's hope the snow has all gone by then. It's hard to tell which season we are in--my garden has snowdrops(late); daffodils and crocuses and the rhododendron bush has just bloomed---much too early. my purple lilacs are blooming away. By Easter I will have a lovely bouquet. Also my snowball plant (Vibernum.) I think it is called has green sprouts all over !!! Jean, I hope you saw my apology to you. I should have had my say in a different post, not one attached to yours. It all just blatted out!! Sarah, I LOVE purple lilacs! I would love to see them. My wedding bouquet and floral arrangements were filled with purple lilacs. SO pretty! I agree, an English garden is the best!!! Jean, there was a wonderful story on the US news last year about Dumfries House. I knew Prince Charles had saved it at the last minute, but didn't realize how last minute with the furniture being driven away in the vans. It looks absolutely beautiful and a place I would love to visit one day! I have never done the chat room thing before. How does it work? I am deffinitly interested. Great post today Charlotte. I loved all the pictures of the Scouts and Kate. They looked liked they were having a blast! All smiles and lots of giggling going on. Kate looked warm, relaxed, and happy. Just what the Dr. Ordered. I loved her casual look today and her boots. So wish I could afford a pair, winter is not leaving yet we have another Winter Storm Warning set to hit late Sunday! Kate in Texas you can come to my house and play in the snow, Ana B. You are welcome also then maybe by the grace of God winter will be over. I am thinking of all my UK friends dealing with ugly weather and Penelope I hope you had home owners insurance. You are in my prayers. It would be fantastic to get online all together I have heard of Google plus 1 don't know much about it. I will leave the technology to Charlotte. Everyone stay warm and safe in snow zones and warmer climates lucky people be safe. As far as the chats go, maybe if the time differences prove a bit much a representative from North America could be chosen and if needed one from Asia. They could just open the chats and be the moderators. That may be too much work, but it is a thought. As far as those who believe Kate doesn't do enough and the people of the UK are footing the bill for her life and us Americans don't get it, I believe we do. We are footing the bill for every presidential family that runs through the white house. Even in the sad economic times we have a woman wearing $50 sneakers to feed the homeless and spending obscene amounts of money to attend a kids award show. Kate is much more visible, and uses her name for very worthy causes. I may be JUST an American but this American wishes we had a woman such as Katherine as our First Lady. She oozes class and elegance. Us Yanks could use some of that. Oh Courtney I totally agree with you. Our first lady need's to take lessons from the Duchess. We as Americans pay just about as much for the presidential family a year as the English do for the royal family. At least the royals really work for their pay, not like the presidential family. We have a first lady that take her whole family plus her girls friends around the world on our tax dollars. I can go on but it will just piss my off. Pauline, are you kidding when you say that Michelle Obama needs to take lessons from the Duchess?? I have never heard anything so ridiculous in all of my time reading Duchess Kate blogs . . . it's one thing when her ardent fans defend her against all possible criticism, its another thing altogether when you slam Michelle Obama by implying that she doesn't work for her pay unlike Kate, a woman who has (fairly or unfairly) earned the nickname "Duchess of DoLittle!" Honestly, I'm a fan of Kate's clothes and style and normally stay far, far away from the debates about her work ethic because I think they're kind of pointless. However, I am a HUGE admirer of Mrs. Obama and think that she's a wonderful role model along a huge number of dimensions. Public speaking - not surprising that Michelle Obama, as a very successful former lawyer, is MUCH better at public speaker. Hopefully the Duchess improves with more practice and coaching. Career/work ethic - this isn't even a close call. Michele Obama spent her years before becoming First Lady as an extremely successful lawyer and hospital executive. Anyone who doubts this should take a brief look at the "career" section of her Wikipedia page. By contrast, Kate spent her 20s partying, vacationing with Will, and working at most part-time or for her parents so she could always be available for Will (I'm going off of what her former boss at Jigsaw said about her schedule, FYI). Now, although she's slowly picking up the pace with her royal duties, she's by no means a full time royal, whereas Michelle Obama has been a full-time First Lady with obvious passion for her causes (ie, the "Let's Move" campaign) since Day 1. Fashion/style: this is one area where Kate has a natural advantage because of her height, model build, and youth. I think she has great fashion sense, although I wish she would consider lengthening her hemlines and putting away the skintight Zara pants. Accountability - even the folks who HATE Michelle Obama have to admit that the US had the opportunity to vote her husband out of office last year, and in 3 years they'll be out of the White House anyways. The British taxpayers are, on the other hand, stuck with the royal family permanently no matter how popular or unpopular individual members are. I could go on but I imagine that even this post will be enough to earn the ire of Kate's fans. I did not intend to come on here and bash here, I just think it's ridiculous that posters would use this blog as an opportunity to bash Michelle Obama. Sorry, but even as a fan of Kate's I do NOT think she comes up on top in a side-to-side comparison with the American First Lady. I thought this site was about Duchess Kate. Sadly, some of you have chosen to bash our wonderful American first family. I wish the "Obama haters" would find another place to vent. Personally, I wish politics of all nations be off limits. It's too polarizing and rarely accomplishes anything except people getting mad. But seeing as it's here now, I'm with Anonymous!! I was surprised Michelle Obama was attacked, as a British person I have always admired the Obamas they both seem very hardworking and have a wonderful touch with their people I love the things they do at thanksgiving, halloween and easter for their citizens whereas r queen although very dedicated is somewhat removed from her subjects as is Charles and camilla, even will and kate are not quite in the person on the streets wavelength. I agree with the previous post that kate cannot be compared with Michelle re work ethic. Yes we are stuck with r royal family, I for one would like to see them more in touch with their people and b more modern, I don't think this will ever happen. I admire the way the European royal families behave. Martha York. I was getting in excess of 1,000 spam comments per day and word verification is the only preventative measure that works. I'm afraid I don't have time to read through all the spam and genuine comments were getting lost. Thank you, Anonymous, for defending our wonderful First Lady. I'm with bluhare - let's keep politics out of Charlotte's excellent blog!!! 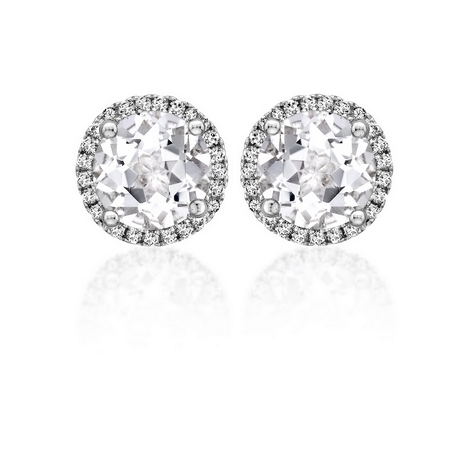 This is a site about Duchess Kate's life and style. Please, please let's keep it that way! The only reason The First Lady was brought up, is simply because as an American that is what I can relate to. I also find it laughable that the ladies on here, some of them, can call Katherine whatever they wish, but one comment about comparing women from prominent families in both countries causes an outcry. Labeled an Obama hater because I believe the excess spending is a slap in the face during tough economic times is laughable. To each their own I suppose. The blog is supposed to be about her life and style, yet people politicize her work ethic or lack thereof depending on who they are. @Courtney from wherever the army send you. As a runner, currently in search of running shoes, let me tell you $50 is a good price. Honestly! I have searched all over the internet and might have to settle paying even more than that :p Running shoes are not cheap. I haven't even read all of the messages but I am appalled that you would criticize Mrs. Obama, being that she and Dr. Biden have taken such an interest in military families. I have read that people would prefer politics be left out of this blog... I will just say that I feel MANY have no understanding of the job of the POTUS and of FLOTUS (who by the way gets NO SALARY for her functions). That some would prefer to have WK in the US vs our first family? and who might perform the duty of leader then? Now I am just laughing. The $50 was supposed to have an extra 0 on the end. So it would be $500. You are correct that $50 is nothing. As far as interest in the military we will have to agree to disagree since my husband and I live the lifestyle and every crowd at every event is handpicked and anyone who isn't a huge fan is not included. The job of the POTUS is to follow and protect the US Constitution. Again it is my opinion that Kate oozes grace and class and I wish for that in a first lady. A girl can wish. The time difference is an issue but as some of you suggested we can hold them at different times. Trying to find a time that works for everyone will be tricky. I am on the west coast of the US, as I think some other are, and we are eight hours behind Britain. South America is probably about the same. I believe you have a poster from Hawaii and they are 11 or 12 hours behind, and Australia is . . . my mind's dizzy again. Good luck with whatever you decide to do and, don't worry, I probably would not participate; lurk perhaps, but not participate. I would not like your chats to blow up!!! You are very polite, Charlotte. Thank you. Wow dizzy is the word. Just go for it Charlotte we are all big boys and girls and we will all pipe in when we can. Our time zone in Brazil (for those who live next to the coast, like I do) makes us 3 hours behind London time. We are 1 hour ahead NY time and 4 hours ahead LA time. It will be so exciting to chat with all of you! To Liz, Wiltshire - Hello! I love this "exchange of experiences" we have here! As I've said before, I live in one of the coldest areas in Brazil (south-east). On summer, the temperatures can vary between 25-37 ºC while winter comes with temperatures between 10-24 ºC. My boyfriend went on an exchange program to Toronto, Canada last year, around September. I remember he used to say he was always cold, even though it was summer there, and he was always wearing a jacket while most people were wearing shorts, skirts and dresses. One person, at the supermarket, asked if he was sick! I can't imagine how hot you can get in Brazil if you come from a northern country! Hope this comment posts. It'll be my third and last try. (I've been having computer problems the last several days.) And I again repectfully request that we keep politics of all nations OFF this marvelous site, and concentrate on the Duchess. So many people in the UK and US are experiencing issues with their internet, I do hope the weather drastically improves. I echo your sentiment regarding politics, it's best to keep it focused on Kate and not politics/FLOTUS. I agree but, what does FLOTUS mean? I hate politics and I am sorry for my post. I got sucked up with the first post and knowing myself I let it ge the best of me. Charlotte works to hard to bringus this blog so again I am very sorry that I let it get to me. And I will keep my opinions to myself regarding politics. Charlotte, you mentioned many having internet issues..... I have always had problems posting from my iPhone. It just does not post. Does anyone else have the same problem? Am I just doing something wrong? Pauline I totally agree with you our President and First Lady don't get it they have taken so many vacations I have stopped counting. The taxpayers are paying for all of this. I so wish we had a couple like William and Kate that the youth and the country could look up to. The Kennedy family John and his wife were the closest thing before they were killed in the plane crash. So to the British people we have our problems too and I do understand. Interestingly I saw statistics on vacations by the presidents and the current one has taken the second to the least with the prior president taking over twice as much. I am glad is he recognizes and has cut back just like I think the Royal family has cut back due to the recession. Has anyone seen the movie. "Fairy Tale a True Story" ? This is off subject. Well I just saw what William and Kate's children will look like (on the Internet) in 20 years. Ha Wow if that's not rushing things I don't know what is. Okay we have England, Canada, Italy, France, Brazil, Spain., Indonesia, Germany, Austria, Australia, Portugal, Poland and USA as contributors on this blog site. Who have I missed? My deepest apologies. Please if you are from any other country just type in the country your from! I feel like a kid with pen pals all over the world. !!! Hey Sarah- I agree with you. I think we have someone from France too. I wish if you are going to use Anonymous at least put where you are from. I love the idea of a "chat room". Just think how well we could get to know our friends from around the world. And get to talk about our beautiful Duchess. If people insist on bringing the US first family in to this, perhaps we should have the truth. US sites (I have checked four) say that she receives a clothing allowance of $48,ooo dollars per annum---that is a little more than the average salary in the US and we all saw the huge security detail that followed them everywhere whilst they were in the UK. That is up to the American people, but if comparing to the Duke and Duchess it should be done truthfully and without resorting to invective such as referring to "Duchess DoLittle". Jean from Lancs, I am curious as to where you get your information from. From what I know the first family of US do not receive any clothing allowance. Heads of state of any country normally don't receive any clothing allowance - your royal family is an exception. You claim to have found no less than four sites? What are these sites? In the future if you're going to reference sites and state what you consider to be a FACT then it would help to list these sites so that the rest of us can inform ourselves. I'll go and post in response to comments above, but will say about Kate: WOW! You can't even tell she's pregnant! She looks great. So healthy. I like her complexion now so much more than when she married or on her tour to Canada (back then I thought she looked very frail, unhealthy and stressed out).